The Storytelling is presented in a entertaining and theatrical style, and can address issues such as Citizenship, Bullying , Sectarianism, Health and the Environment . Macastory cover subjects in history ranging from the the Vikings to the Greeks, Scots and beyond. As well visiting schools and libraries all over Scotland Macastory have perfomed many times at the Edinburgh International Book Festival, Aberdeen Storytelling Festival,The East Renfrewshire Festival and Traquair Fair. Macastory have also worked with The National Museum of Scotland,The National Library of Scotland ,Scottish Ballet ,The Scottish Portrait Gallery and Edinburgh World Heritage. Audiences numbering up to 800+ can easily be catered in a single school day by dividing the roll into groups ie nursery,p1-3s 4-5s and 6-7s. 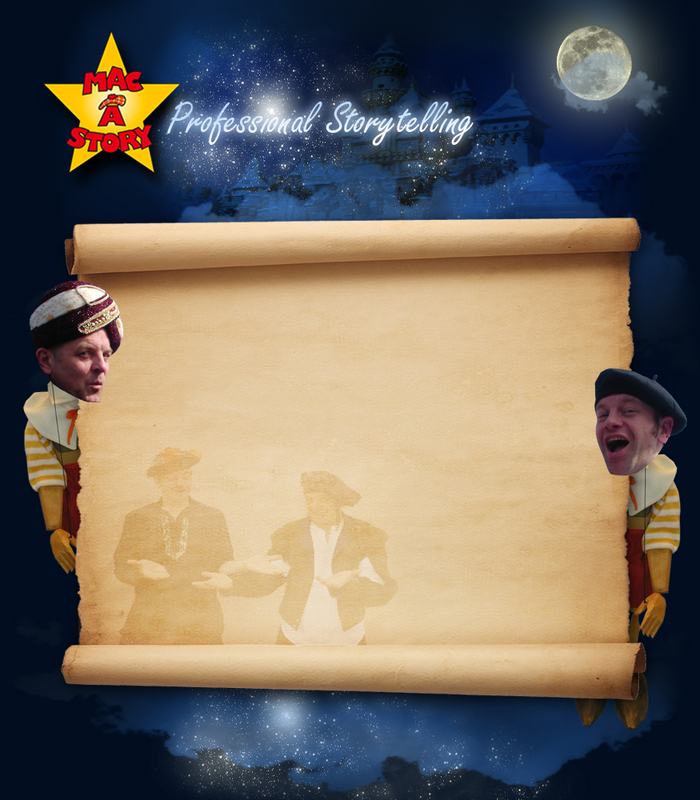 Ron Fairweather & Fergus McNicol are registered storytellers with the Scottish Storytelling Centre and Disclosure Scotland.